The New Upscale Restaurant & Lounge in Uptown Charlotte, NC. Enjoy our delicious food with everything from Filets, SeaBass, Scallops, Pasta, Sushi and Desserts. A locally owned and operated American Tavern in Charlotte's Historic 4th Ward serving fresh unpretentious food that is prepared well with fresh, quality ingredients. We offer a wide selection of craft, imported, and domestic beers as well as a full bar. 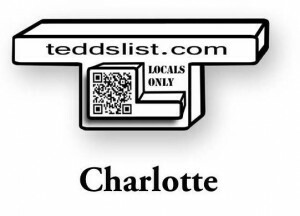 We are conviently located in Charlotte's Historic Southend District, right at the Bland St stop for the light rail. The Pub is open for lunch, dinner, and late night everyday and features one of the area's best Sunday Brunch menus. An oasis at the top of Montford Dr of Charlotte, NC. characterized with great food, cold beer and a "never dull moment" atmosphere. Ale's, as it is commonly referred to, prides itself on its Big A$$ Cans, Attractive Ladies, and a Huge Deck. One of the best Italian Restaurants in town Enjoy fine dining in a romantic setting. Authentic Tuscan Cuisine. Wine Bar features amazing selection. Bars in both Southpark and Ballantyne locations. Big View is the “up-scale” diner restaurant serving breakfast, lunch and dinner. BlackFinn American Saloon is a modern day adaptation of a "big-city" saloon, with the welcoming charm and friendly faces found in the traditional neighborhood tavern of yesteryear, located in the heart of Charlotte The EpiCentre. Brazwells Premium Pub has been serving Charlotte for 40 years! Enjoy one or our amazing drink special or grab some dinner on our huge outdoor patio. Crave Dessert Bar represents a new breed of Charlotte evening entertainment: a progressive dessert boutique that evolves nightly into an upscale lounge catering to the desires of Charlotte’s late night enthusiasts. Dharma Lounge embodies Buddha’s belief in embracing one’s path to enlightenment – in this case when it comes to Nightlife. Dilworth Billiards has been serving the Charlotte area for over 30 years....with the feel of a neighborhood pub, we still draw from all around. A great neighborhood pub with 5 antique pool tables and a unique courtyard. We offer a wide variety of wines from all of the world. Prices range from $6-10/glass and $10-200+ for bottles. Fitzgerald's Irish Pub is the newest addition to uptown Charlotte. Located on the corner of 5th St and N. College St, open seven days a week, Fitzgerald's will provide the perfect atmosphere to enjoy spirits and great food. Open, fun upscale Greek and Italian inspired dining concept. Jeff's Bucket Shop is another name for a "Speakeasy". During proabition folks took their buckets to stills and bathtubs for liquor, thus Bucket Shops emerged! Jo Jo China Bistro an upscale full service restaurant that features a blend of traditional Chinese cuisine. Located in Stonecrest shopping center, Charlotte NC. We begin with an incredible variety of locally-sourced products and imported fresh ingredients, searching far and wide for distinct local flavors, and bringing them home to our close-knit community. Malabar brings the passion and excitement for authentic Spanish cuisine to new heights. A variety of fresh, made-to-order paellas await you. Italian cuisine, both classical and modern, prepared by one of Charlotte’s most followed and recognized Executive Chefs, Gene Briggs of the famed Blue Restaurant & Bar. Petra's has the best drink specials in Charlotte . Live music performances from Charlotte's top artists and Karaoke! Welcome to the internet's home for the most-happening restaurant, tavern, and live-music venue in Charlotte's Elizabeth Neighborhood!Our kitchen is open until 2 am every day of the week.We have 2 main bar areas - one in the front and one in the back. Relax and enjoy exceptional Italian cuisine, regional specialties and premium wines at Firenze Ristorante. A Charlotte favorite, you can find this place in the Park Road Shopping Center downstairs, offering a full menu until 2 a.m. each night. This English-style pub, named after the scientist Edmond Halley, has a terrific variety of both food and drink. Bob and Scotty Whitman run this old Charlotte Traditional Favorite. Pool Tables, Ping Pong Table, Beverages, Live Music, Good People. Rock & Roll Bar. Every month we invite one of the many great acts from our burgeoning music scene to relax and stay awhile. Every Wednesday our place is theirs to do with what they want! Innovative sushi, global tapas and handcrafted cocktails served with casual sophistication.We’re located in the eclectic Plaza Midwood neighborhood, just minutes from Uptown Charlotte. Offering multimedia, bowling, dining,night life and private event facility and more, located in E. Trade Street-The EpiCenter, Charlotte NC. It's not just bowling at Myers Park's 10 Park Lanes in Charlotte. A cool bar & restaurant, catering, parties & corporate events. Great fun & seriously good food. The Corner Pub is the perfect place to gather with your friends or meet new ones. Play a few games of Silver Strike or Golden Tee or search for your favorite songs on the Jukebox. The Gin Mill is a local Charlotte watering hole located in historic South End with many different entertainment options.Sports, Trivia, Wii Bowling, DJ's, Live Music, and Private Parties. The Olde Mecklenburg Brewery (OMB), located in the heart of south Charlotte, produces premium, all natural beer and delivers it fresh weekly to bars, restaurants and retailers in the region. OMB uses only the finest ingredients available worldwide. Live Music, Great Food, Beer, Wine, & Spirits. Located at the NC Music Factory in Charlotte. Charlotte's first Beer Hall & Garden/Restaurant, located at the NC Music Factory! Seating capacity for 450! Located 50' from The Fillmore and TWC Uptown Amphitheater.30 Craft and Import Beers on Draft, full bar and amazing food. Vida Mexican Kitchen y Cantina is a unique tequila bar offering traditional, regional and contemporary cuisine in the vibrant uptown Charlotte scene at the EpiCentre. Walk into Whiskey Warehouse and be transposed back to when bars were the neighborhood focal point. Feel at home instantly when you have a seat in a plush couch surrounded by one of the giant TV's and sip on a $4 Jack Daniels. Cozy up to the bar and order.